Hire a professional Makeup Artist for your wedding day/event it will be the best money you ever spent for your wedding photos. Remove all Eye and Face makeup residue from night before. Day of exfoliate lips, hands and body before applying face, body and hand creams. Moisturize, moisturize, moisturize!! Under eyes as well as your face. Schedule a makeup trial run with the artist at least 3-4 weeks before your wedding/event. Schedule a facial for at least 10-14 days before your wedding/photo shoot. Groom your eyebrows (Threading, Waxing, Tweezing) at least 4 days to a week before your wedding/event, in case of redness, swollen eyes and reactive issues. If you are self-tanning or Spray tanning, exfoliate your body before and do not spray tan your face. Use highly shimmery products on face, eyes and body it acts like a reflective mirror in photos, and can show up as white flecks on your eyes and face. Hire a professional hair stylist for your wedding day to look your best. Schedule any hair grooming (Highlighting, colors and cuts/trims) at least 1- 2 weeks before the wedding/event. Have a trial run with stylist that is actually doing your hair for your wedding/event (if possible). 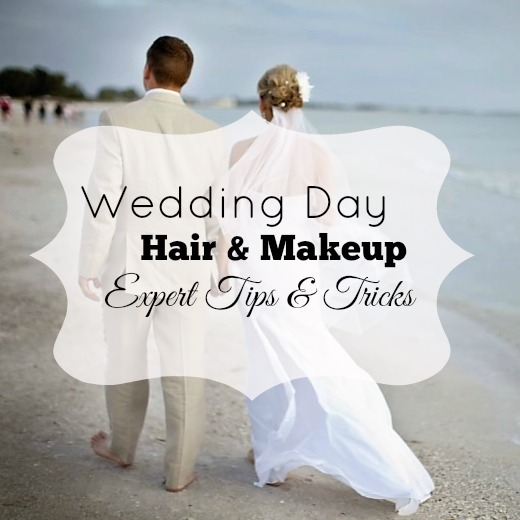 Wash your hair the day before your wedding, and not the day of because washing and using conditioners makes it too slippery to hold throughout the wedding day. Any added conditioners or products you use will weigh your hair down, leaving flat and not full and pretty. DO not condition your roots or use heavy oils, gels or leave-in conditioners for at least 24 hours prior to your wedding/event. Flat Iron your hair before your stylist does your hair, as the style you chose may not require flat ironing your hair, especially if you are going for a fuller and lush look. Wash it the day of your wedding. Cut, trim or make any drastic changes to your hair the week of the wedding. I can't thank you enough for the beautiful work you did on myself, my mom and Jasmine.